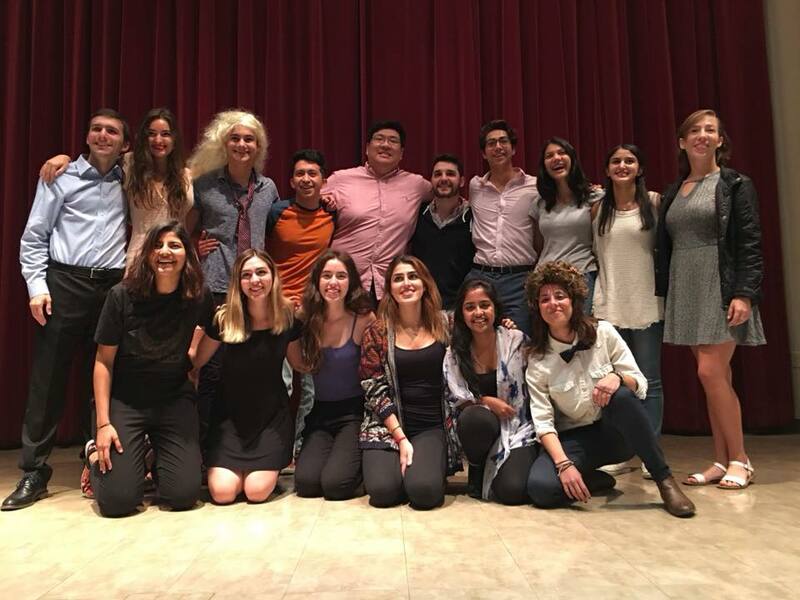 On Thursday, Nov. 16 and Friday, Nov. 17, Claremont McKenna’s theater club, Under the Lights, presented its annual fall installment of the One Act plays in Pickford Auditorium. With free admission and a promise of “guaranteed laughter, inappropriate jokes, unusual romances, interesting couple dynamics, pleasure, enjoyment and lots of loud drama,” both shows were well-attended and enjoyed by students. At the beginning of the semester, all students were invited to audition. Emphasizing that no prior experience is needed to participate, UTL integrated theater into the everyday lives of students with diverse interests that diverge from the arts. The completely student-run show featured six short plays directed by Brian Luna '20, Max Fine '21, Henry Minervini '19, Sadie Fisher '20, Teagan Stewart '18, and Namrata Dev '19, in order of appearance. A common theme of the scenes focused on lacing modern social and political conflicts with humor. For example, touching on the issue of domestic terrorism, “Unattended Baggage,” directed by Minervini, depicts the realistic reactions of travelers to an abandoned suitcase left in an airport terminal. The woman, played by Shanil Verjee ‘21, frantically protests that the suitcase was a DIY explosive, while the man, Timothy Song ‘19, apathetically decries her paranoia as a ludicrous, out-of-touch conspiracy. As the scene progresses, Verjee increasingly insists on the danger of the situation, her fear heightened by TSA announcements. Song, fed up with Verjee’s fear, describes hypothetical situations where someone may leave his or her baggage in the terminal to go to the bathroom. Their fight escalates with Song attempting to go through the suitcase, which he surmises likely consists of dirty underwear and socks, before accidentally leading a flight attendant to believe that the baggage is, in fact, a bomb that belongs to Verjee and Song. The situation, however, resolves on a different note. The stage lights dim and the sound of a ticking bomb fills the room before a loud explosion ends the scene, touching on a complex conclusion: How can one differentiate between exercising unnecessary paranoia and taking necessary precautions in regards to terror attacks? The topic of modern romance also surfaces in plays like "Today's Special" and "In the Meantime," which explore the complexities of break-ups and the sexually-fraught tension that comes with first dates. To today’s college students, relationships are not black and white, but rather complex, comical situations that, more often than not, leave a lot to be desired. Watching student-directed productions is not only a great opportunity to peer into the minds of our generation, but also a wonderfully thought-provoking, amusing, and potentially arousing way to spend an evening.